These rules represents modern Taiwanese Mah Jong, where the most prominent feature is one additional set that is needed in a winning hand. Thus each player is given 16, instead of 13 tiles in the dealt hand (dealer being given naturally one additional tile to start the deal). A winning hand must contain 5 sets of Chows/Pungs/Kongs and a pair. Other features not normally seen in other Chinese versions of Mah Jong include a replenishing Dead Wall with 16 (instead of 14) tiles. As for the pattern selection, the Taiwanese Mah Jong is fairly classical, though some patterns have been added and some removed because of the additional set (e.g., Nine Gates of Thirteen Orphans cannot be collected in 16-tile Mah Jong; on the other hand, a limit is paid for patterns like Five concealed triplets). Taiwanese rules do not normally use a settling table to determine the final score. Instead, scores for patterns are simply added up. The payment scheme is unique: if the winner goes out self-drawn, all losers pay the winner directly the amount of his final score, but if the winner goes out on a discard, discarder alone pays the amount of winner's final score (not for all losers but just for himself). As in all modern versions of Asian Mah Jong, normally only the winner is paid. 16-tile version of Mah Jong is played also in Philippines, often with more classically oriented rules using a point-double scoring system, where East receives and pays double, and losers pay each other according to the difference of their final scores. The complete Mah Jong tile set consists of 144 tiles of which 136 are regular playing tiles and 8 are bonus tiles (Flowers and Seasons). 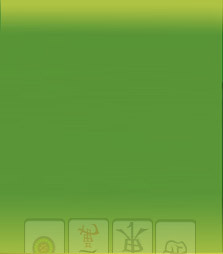 The bonus tiles are optional, but they are nearly always used in Taiwanese Mah Jong. The regular tiles are divided into two main groups: Suits and Honors. There are three suits: Bamboos, Characters and Dots. Each suit consists of 36 tiles: four 1’s, four 2’s, and so on up to 9. Total of suit tiles is thus 108. Suit tiles from 2 to 8 are called Simples (or Minor tiles, as opposed to Terminals and Honors, which are sometimes called Major tiles), 1’s and 9’s are called Terminals. Sets composed of Terminals pay generally more than sets composed of Simples. Honors consist of Dragons and Winds. There are three Dragons four of each: Green Dragon, Red Dragon and White Dragon, and four Winds, four of each: East, South, West and North. Total of honor tiles is thus 28.
Letters on the Dragon tiles are based on the Chinese terms fa (meaning "flourishing manifestation" and symbolizing Earth), chun (meaning "centre" and symbolizing Man), and pai pan (meaning "white plank", "white tile"). On the left : Flowers: Plum (East), Orchid (South), Chrysanthemum (West) and Bamboo (North). On the right : Seasons: Spring (East), Summer (South), Autumn (West) and Winter (North). When the game was introduced in the United States, numbers and letters were added on the tiles to make them easier to recognize. In Asian tile sets identifiers are normally used only in bonus tiles.